United States courts have not yet reached a final conclusion on whether GPS monitoring violates the civil rights of offenders, who find the devices socially embarrassing, physically uncomfortable and intrusive. The U.S. Supreme Court in 2015 ruled that GPS constitutes a search under the Fourth Amendment. But the court declined to rule whether the search in dispute was "unreasonable" and therefore unconstitutional. It said such a determination can only be made considering the circumstances of the search and "the extent to which the search intrudes upon reasonable privacy expectations." "While GPS monitoring may pose an 'inconvenience' to these offenders," said state Department of Corrections spokesman Tristan Cook, "the state Legislature or DOC have determined that these tools enhance public safety and protect victims." A 2016 ruling on a Wisconsin case from the 7th Circuit U.S. Court of Appeals allows the retroactive application of GPS monitoring to people who were sentenced before the state’s monitoring law was passed. In a case argued before the Wisconsin Supreme Court in February, offender DeAnthony Muldrow is asking to withdraw his guilty plea to sexual assault of a child under 16, saying he was not aware he would be subject to "onerous" lifetime GPS monitoring when he made that plea. "There is a clear split in opinion as this is a relatively new area of the law," according to the lawsuit. "Muldrow suggests that the more realistic view is that lifetime GPS is punitive considering the burden it places on those subject to it." Researchers say Germany, for instance, has been very reluctant to use electronic monitoring because its corrections system is not overcrowded and the regular probation service works well without electronic monitoring. The Council of Europe, an international human rights organization, warns that electronic monitoring "is an intrusive measure which can violate basic human rights." Frieder Dunkel, a German researcher who studies electronic monitoring programs, said other programs in Europe employ the technology in a much more limited way than in the U.S. Germany uses GPS monitoring on about 70 offenders in the entire country who are deemed a danger to the public. "EM is only useful for a rather short period," Dunkel said. "In Europe, we almost never use it for more than a couple months or a year, because it’s a really intrusive measure, into privacy, and so we would face a lot of compliance problems." In the 7th Circuit case, the three-judge panel reiterated that GPS monitoring is not punishment and can be justified on public protection grounds. James Kilgore, a University of Illinois lecturer who spent about a year on electronic monitoring himself, does not see it that way. "The biggest irony for me is that … more states are making it a felony to remove the device, felony escape," Kilgore said. "And yet most of those states do not consider being on (electronic monitoring) with house arrest a form of incarceration. What are you escaping from if you’re not under arrest?" 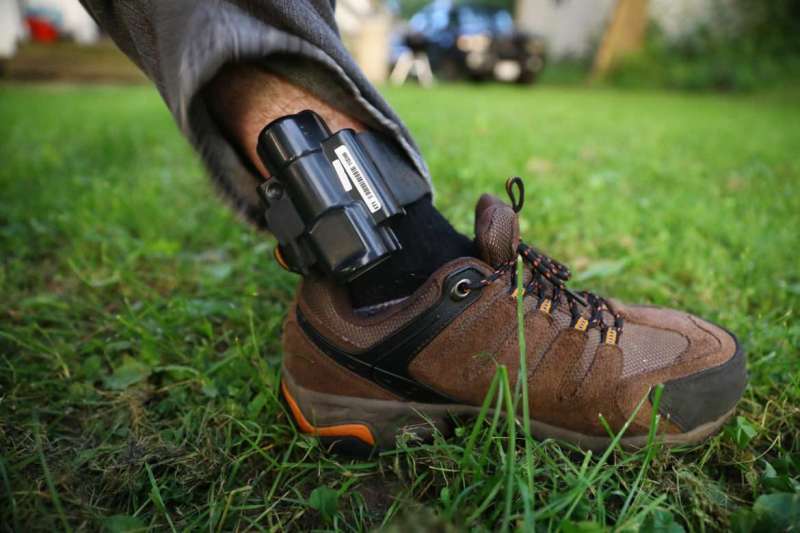 Marc Renzema, founder of the Journal of Offender Monitoring, noted in a report that electronic monitoring "is now mainly about punishment on the cheap, not rehabilitation." The journal focuses on monitoring technology and its use in enhancing public safety. "Also, there is usually no teeth for enforcing violations," he said. "Therefore, they will likely be a low priority for an agency."